Stop Wasting Your Money On Products That Don't Work! All products and supplements featured on this page is endorsed by me. Health is your number one asset and taking the right supplements is an easy and effective way to boost your health. Today, the market for health products and supplements is over-saturated. This surplus amount of products out there can be overwhelming and many consumers make the mistake of buying products with no real value. All products that I feature here have been thoroughly researched and validated for their health benefits. I have invested countless hours researching and looking for products that work, so you can buy with confidence. Deciding to maintain a healthy balance of good bacteria in your gut will be one of the most important lifestyle decision you make. The benefits are unmeasurable and they are so easy to do; it is life changing. Having a healthy gut flora is the beginning of living a truly healthy lifestyle withlowered risks of numerous debilitating diseases such as cancer, diabetes and obesity. Read: Probiotics: 80% of Your Immune System Lives In Your Gut. Tea is the second most widely consumed beverage in the world, only after water. It is claimed that tea, especially green tea, can fight diseases, prevent chronic illnesses, and even lengthen life. Read: Everything You Need To Know About Tea. This herb is also known as the "mountain of joy". Oregano oil is proven to be superior than prescription antibiotics, without the numbing side-effects. Read: Natural Healing Oil That Is Superior Than Prescription Antibiotics. Sprulina is one of top 3 superfoods in the world. Read: Top 3 Superfoods For Superheroic Wellness. Also known as the "Miracles of the Sea", Spirulina has been astronaut's number one supplement when they enter the space. Omega-3 deficiency is the sixth biggest killer of Americans and more deadly than excessive trans fat intake! Omega-3 fights and prevents inflammation, osteoarthritis and even cancer. Read: Why Fish Oil Is Essential - Top 6 Health Benefits And Myths About Omega-3 Supplements. 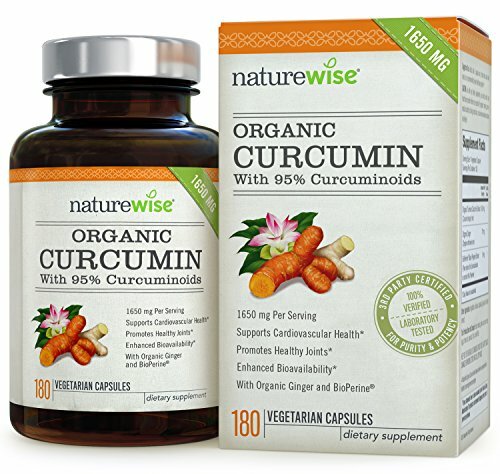 Turmeric is arguably the most powerful herb known to man for its potent ability to both prevent and reverse disease. It is a profound herb in the wellness community of doctors and consumers with over 9,000 peer-reviewed articles published proving the health benefits of turmeric. My hand-picked top 3 medicinal benefits of turmeric is 1) fights/prevent cancer, 2) potent anti-inflammatory and 3) Alzheimer's disease and brain function. Read: Top 3 Evidence-Based Medicinal Uses For Turmeric And How To Take Turmeric For Therapeutic Effects.